According to discussions with officials from the Maritime Museum Kanbei may not be put on display in Kotka after all. The yacht is currently stored in Helsinki and will be moved to Kotka for storage, not display, later in 2012. All the same, she can be seen in the museum's premises pending agreement before hand. According to an article by Matti Muoniovaara in Frisk Bris magazine (5/2011) FIN-016 Kan-Bei will be put on display in the Maritime Museum of Finland in Kotka. 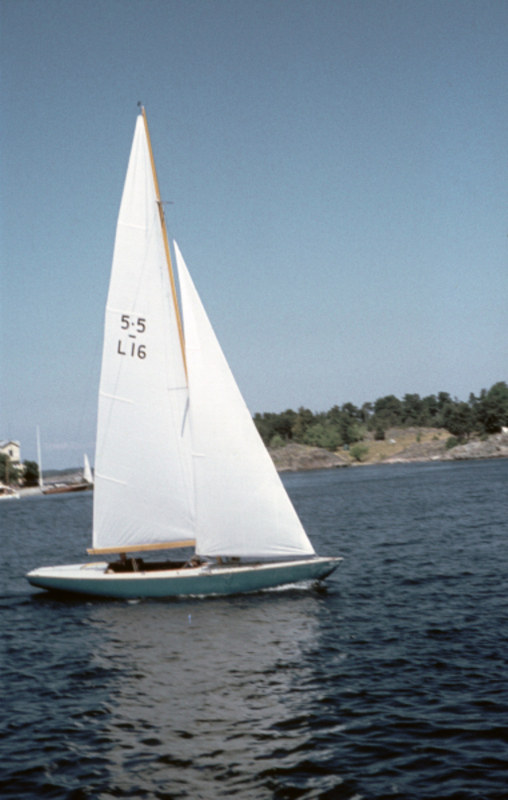 FIN-016 was originally Inga-Lill 41, designed by Gösta Kyntzell for himself. Build in Wilenius boatyard in 1955, not 1954. LOA 9,193 m, beam 1,926 m and draft 1,346 m. Sold to Peter Fazer in 1956 (renamed Kan-Bei) and to T. Tukiainen in 1961 (Amore).